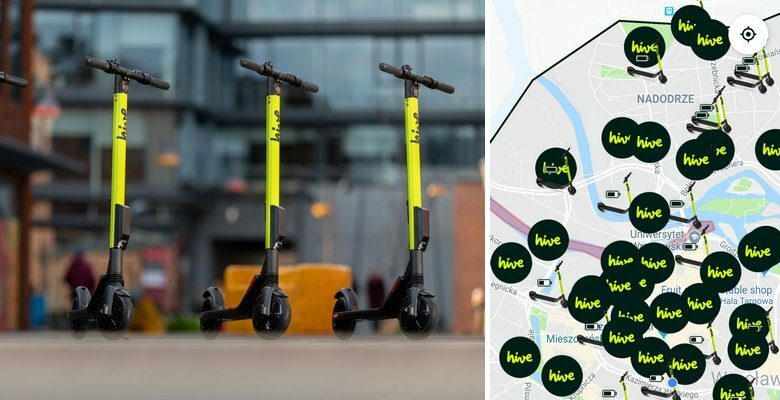 Wrocław has been flooded with yet more electric scooters thanks to Hive, who will compete with rival e-scooter rental firm Lime-S. The Hive scooters are Segway ES4s, which have a maximum speed of 25 km / h.
If you want to to test out the Hive electric scooters, the discount codes PxcA3YLj and hellowroclaw will grant you free rides of 32 and 17 minutes respectively. 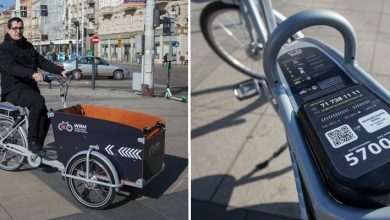 According to Hive Polska’s Facebook page, there are 400 of the electric scooters in operation in Warsaw. 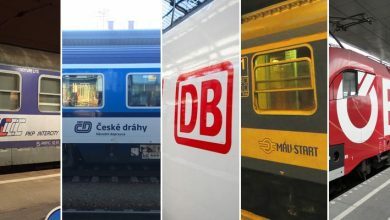 Presumably the number of their scooters in Wrocław is not too far off that figure. In terms of pricing, Business Insider report that the scooters cost slightly less than Lime-S. 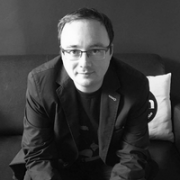 The unlocking charge is 2.50zł, while the cost per minute is 0.45zł. It is also possible to ‘park’ your scooter for a maximum of 30 minutes so that nobody can else can rent it during that time.